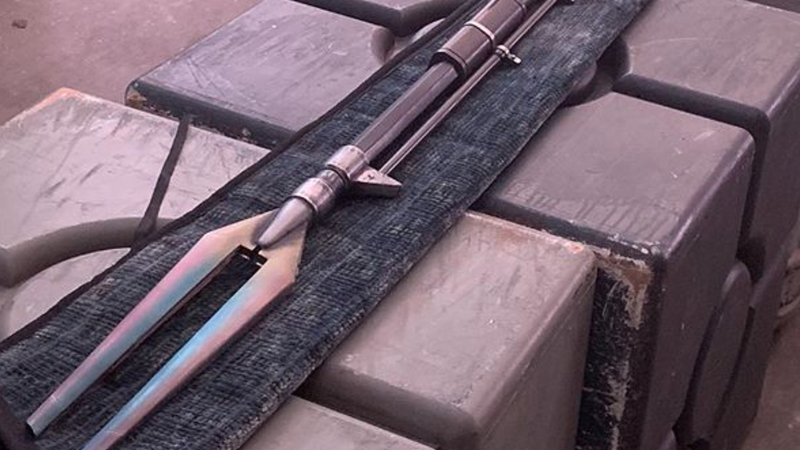 A new photo from the set of The Mandalorian was posted by series showrunner Jon Favreau on his Instagram account, but the folks over at Making Star Wars have delved deeper into the story to analyze the weapon in said photo. According to the site, the gun just might be the same one used by Boba Fett in the much maligned Star Wars Holiday Special. 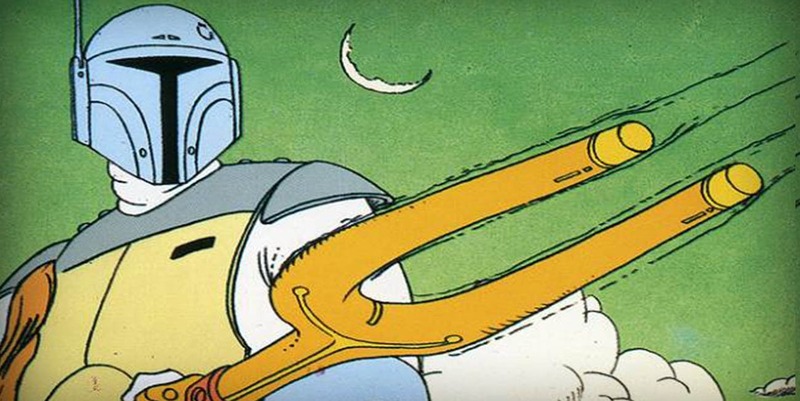 Fans will recall that the special featured an animated segment of Boba Fett in action. And, sure enough, a quick look at photos from the segment reveal the famed bounty hunter wielding a gun similar in design to the one seen in the photo. Apparently, the gun is an Amban phase-pulse blaster, a name revealed in the video game The Force Unleashed. What this all means in the grand scheme of things remains unclear. Though, admittedly, it’s a pretty nice Easter egg for Star Wars fans and shows that Favreau has done his homework. The directors for the series were officially announced and include Dave Filoni (Star Wars: The Clone Wars, Star Wars Rebels) who will direct the first episode. Additional episodes will be directed by Deborah Chow (Jessica Jones), Rick Famuyiwa (Dope), Bryce Dallas Howard (Solemates), and Taika Waititi (Thor: Ragnarok). 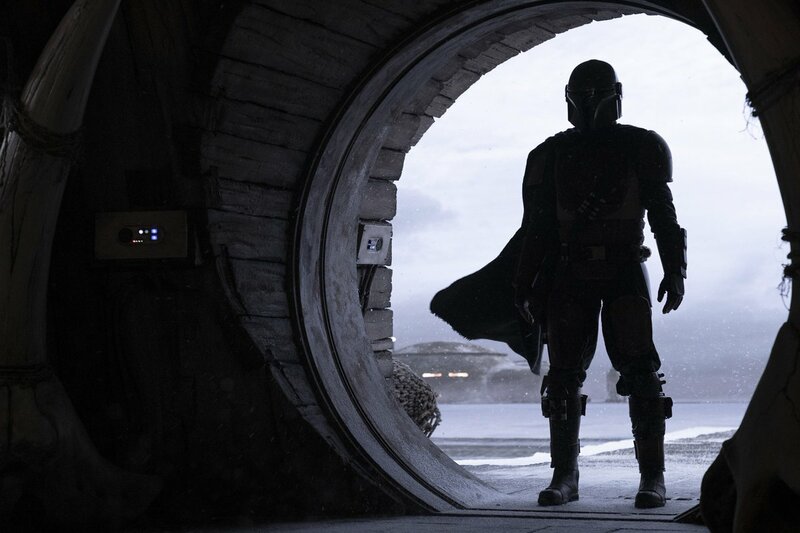 The Mandalorian will be executive produced by Jon Favreau, Dave Filoni, Kathleen Kennedy, and Colin Wilson. Karen Gilchrist will serve as co-executive producer.